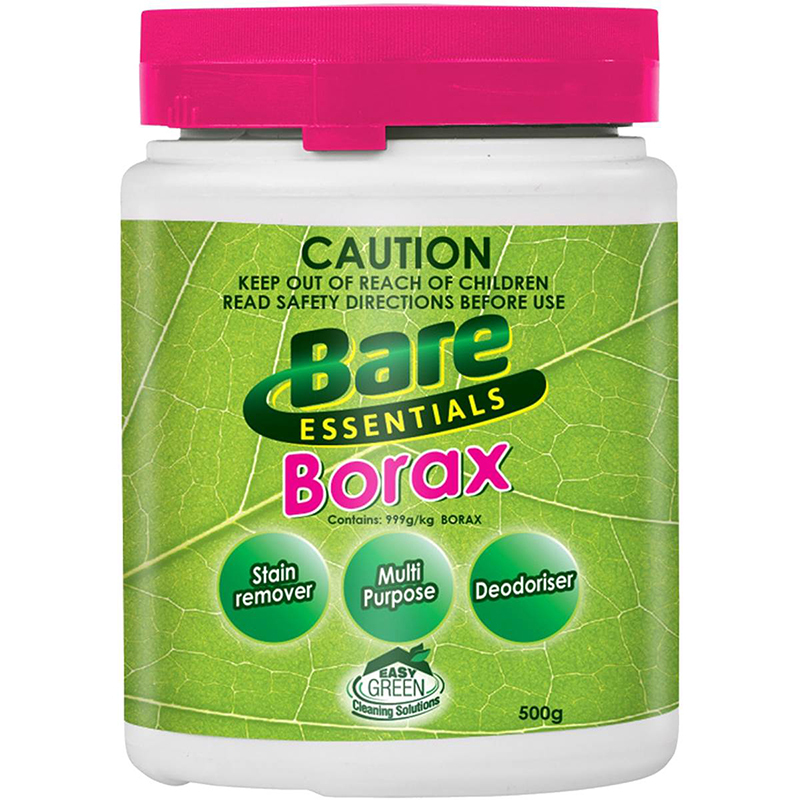 Bare Essentials Borax is used for multipurpose cleaning and deodorizing without the use of chemicals. Bare Essentials Borax is a naturally derived product sourced from mining. Can I eat the product as a remedy for arthritis? Is the product 100% pure Borax? The product is technically 100%. The reason why it states on the label 99% is due to impurities which might have been picked up in the mining process which we are legally required to account for. Multi-Purpose Cleaning: To remove stubborn grime from clothes add a teaspoon of Bare Essentials Borax to your normal washing powder. Toilet: Pour a little Bare Essentials Borax into a wet toilet bowl and brush clean. Walls: To clean walls mix one tablespoon of Bare Essentials Borax 1 teaspoon of lavender oil and 1L of water in a spray bottle. Spray the mixture onto a rolled up pair of pantyhose to remove the most stubborn fingerprints and dirty marks from painted surfaces. Old Urine Stains: Mix equal parts Bare Essentials Borax white vinegar and water. Apply to the area then rinse thoroughly. Laundry: Light Soil: Add 1 teaspoon of Bare Essentials Borax to your wash. Heavy Soil: Pre-soak garments in a mixture of 1 teaspoon of Bare Essentials Borax and 2 teaspoons of washing powder into a bucket of just warm water and soak for two hours. First Aid: If in eyes hold eyelids apart and flush the eye continuously with running water. If skin or hair contact occurs remove contaminated clothing and flush skin and hair with running water. KEEP OUT OF REACH OF CHILDREN. ALWAYS TEST ON AN INCONSPICUOUS AREA FIRST.